Saint Charles Party Bus makes every detail count. A customized limo bus for your wedding day is the elegant way to transport your bridal party, family members and guests. We offer our safe prom packages in luxury Cadillac Escalade Stretch, H2 Hummers, Chrysler 300Limos that fits your party size and event for a fixed, all-inclusive price. 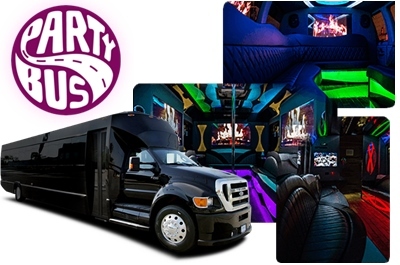 Saint Charles Party Bus and Limo rental offer exotic party buses for Junior, Senior proms and Turnabout dances, birthday parties, Sweet 16, Sporting Events, Concerts, St Charles Wedding shuttle service or Nigh Out Downtown St Charles. Whether you need airport transportation to o'hare or large group transfers, our Luxury Transportation Company can accommodate your travel needs! We offer limousine options for all group sizes and event types, professional, courteous and punctual drivers with excellent driving record vehicles to seat 8, 10 and 20 passenger ideal for all kinds of leisure and outings. We have a party bus for every budget from 25to 39 passengers. From sporting events in Chicago, an upcoming concerts at Wrigley Field, music venue in Tinley Park or Corporate events we assure your satisfaction! Looking for Bachelorette party ideas, something Sweet & Sassy? Our Pink Limousine is your answer. 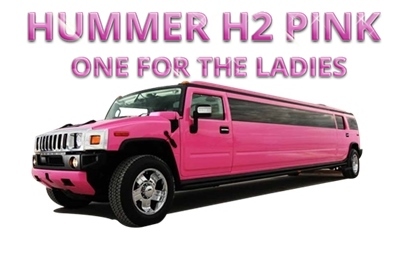 HOT Pink Hummer is great for High School Prom or Balls, Quinceanera or Children's Parties to arrive with friends in style. Traveling in Saint Charles, in the Geneva and Batavia, tri-city area? Why not give St Cahrles Party Bus call? We can take care of all your large group travel needs, and better than the other options that are out there, our buses are luxurious and comfortable, with a lot of cool perks that make it really thrilling and fun. Saint Charles Party Bus is proud to provide the finest luxury transportation service in the Northern Fox River Valley. Our exotic vehicles of latest fleet are available for booking at the most aggressive prices in the Illinois. With luxury limos and party buses in all sizes and styles, St.Charles Party Bus is guaranteed to have a perfect limousine to complement your next special event Prom, graduation, homecoming, wedding, anniversary, concerts, bacherlor party, birthday parties, corporate events, concerts, Pheasant Run Resort, Fabyan Forest Preserve, Fabyan Windmill or night-on-the-town. Our well-informed employees are standing by 24/7 to provide our customers with extensive consumer service every step of the way. 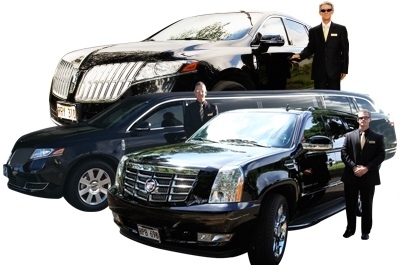 As the Premier transportation leader for all Festivals & Special Events in the City of St Charles, IL we also offers the highest quality professional chauffeurs, non-emergent medical transportation wheelchair accessible vans, and even limousine service that has car seats available for infants, toddlers and for children of all ages. Students who attended following schools will receive a 5% discount: Anderson Elementary, Bell Graham, Corron, Davis, Ferson Creek, Fox Ridge, Lincoln, Norton Creek, Richmond, Wasco, Wild Rose, Wredling, Haines, Thompson Middle Schools, St. Charles East High School and St. Charles North.